The Pennsylvania Zeta Chapter of Tau Beta Pi, at Drexel University, is having a general body meeting on January 28. 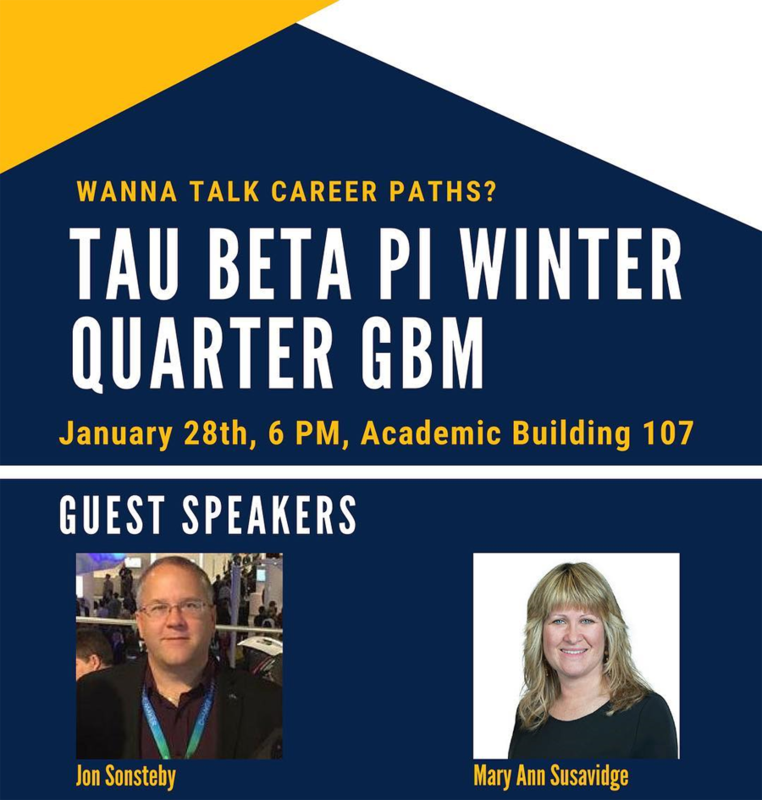 The meeting includes two Tau Bate guest speakers that will talk about their career paths and answer questions. More details on their Instagram account. Jon M. Sonsteby, PA B ’95, is a strategic media sales director at Brightcove and earned his bachelor’s degree in electrical engineering from Drexel. He also serves as TBP District 3 Director. The other speaker is Mary Ann Susavidge the chief underwriting officer – North America Environmental at AXA XL. She earned her bachelor’s and master’s degrees in civil engineering from Drexel. The Chronicle of Higher Education posted an opening for faculty positions in computer science and engineering at Mississippi State University. The two new tenure-track faculty positions are for all areas of computer science but “preference is given to software engineering and computer security.” Click here to apply. On Thursday, January 31, the new engineering hub space in Marcus Hall at the University of Massachusetts at Amherst opened. The space includes a graduate engineering hub and organizations space for the MA Eta Chapter of Tau Beta Pi. For more information, read the news article as the engineering graduate hub will serve as a place reserved for the school’s growing population of master’s students.